Micromax Unite 2, one of the best selling smartphone from Micromax Mobile which was launched in competition to the Motorola Moto E is now receiving Android Lollipop 5.0 update. 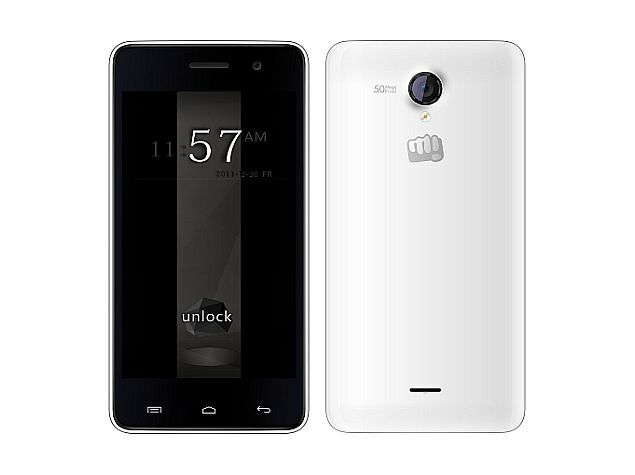 Micromax sold over 1.5 million handsets of Unite 2 since its launch in May, 2014 which rounds up to approximately, 3 units per minute as per the company. To recap, Unite 2 was the world’s first smartphone to launch with 21 languages support. Apart from that Micromax Unite 2 features a 4.7-inch WVGA display powered by a 1.3GHz quad-core processor paired with 1GB of RAM and 4GB internal storage. The handset is still available to buy for Rs. 6,299 and will come pre-loaded with Android 5.0 Lollipop. For those who already own one, the Lollipop update will be rolled out via an OTA i.e. Over-The-Air update wirelessly which can be checked and updated directly from the smartphone when connected to Internet. The update will be available starting April 7, 2015 which is early next week.